Fredericton is the capital of the Canadian province of New Brunswick. On the 18th (Tue), pause for some serene contemplation at Brunswick St. Baptist Church. On the next day, contemplate the long history of Kings Landing Historical Settlement, explore the world behind art at Beaverbrook Art Gallery, and then sample the tasty concoctions at Picaroons. To see traveler tips, maps, ratings, and tourist information, go to the Fredericton itinerary planner. Toronto to Fredericton is an approximately 5-hour flight. You can also drive. The time zone difference when traveling from Toronto to Fredericton is 1 hour. Expect a bit cooler evenings in Fredericton when traveling from Toronto in July, with lows around 16°C. Cap off your sightseeing on the 20th (Thu) early enough to travel to Saint Andrews. On the 21st (Fri), stop by Crocker Hill Store, visit a coastal fixture at Pea Point Island Lighthouse, and then tour the pleasant surroundings at Canal Beach. 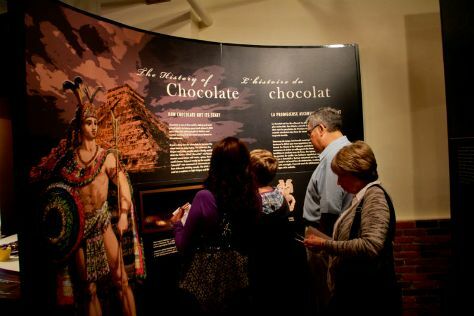 Here are some ideas for day two: examine the collection at Sheriff Andrews House, then see the interesting displays at The Chocolate Museum, then stroll through Wild Salmon Nature Centre, and finally contemplate the long history of St. Andrews Blockhouse National Historic Site. To find ratings, reviews, photos, and other tourist information, refer to the Saint Andrews trip itinerary builder. Traveling by car from Fredericton to Saint Andrews takes 2 hours. Due to the time zone difference, you'll gain 1 hour traveling from Fredericton to Saint Andrews. July in Saint Andrews sees daily highs of 28°C and lows of 17°C at night. Cap off your sightseeing on the 23rd (Sun) early enough to go by car to Saint John. Get some historical perspective at Prim Point Lighthouse and Fort Anne National Historic Site. Your cultural itinerary includes sights like Loyalist House and Saint John Police Museum. 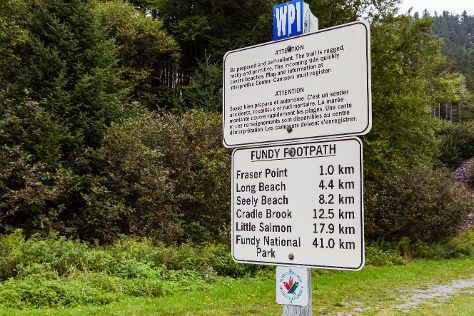 Change things up with a short trip to Fundy Trail Parkway in St. Martins (about 44 minutes away). The adventure continues: kick back and relax at Meenan's Cove Beach, admire the sheer force of Reversing Falls, kick your exploration up a notch at some of the top local zipline courses and adventure parks, and look for all kinds of wild species at Irving Nature Park. To find where to stay, photos, ratings, and more tourist information, use the Saint John trip builder. Drive from Saint Andrews to Saint John in 1.5 hours. You'll lose 1 hour traveling from Saint Andrews to Saint John due to the time zone difference. Traveling from Saint Andrews in July, Saint John is slightly colder at night with lows of 14°C. Finish your sightseeing early on the 26th (Wed) to allow enough time to travel to Miramichi. Miramichi is the largest city in northern New Brunswick, Canada. Your day-by-day itinerary now includes Ritchie Wharf. Start off your visit on the 27th (Thu): take an in-depth tour of Metepenagiag Heritage Park, then let the river carry you with a rafting and tubing tour, and then take in the waterfront at Ritchie Wharf. Keep things going the next day: kick back and relax at Hay Island Provincial Park. To see more things to do, where to stay, and other tourist information, read our Miramichi trip generator. Getting from Saint John to Miramichi by car takes about 3 hours. In July, daily temperatures in Miramichi can reach 30°C, while at night they dip to 15°C. On the 28th (Fri), wrap the sightseeing up by early afternoon so you can travel to Moncton. 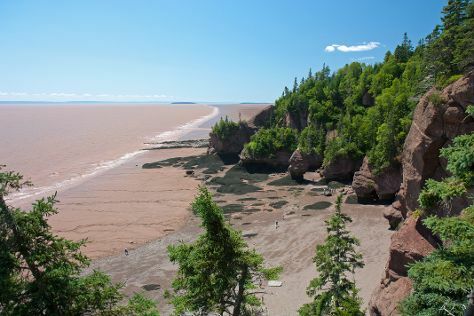 Kick off your visit on the 29th (Sat): enjoy the sand and surf at Parlee Beach Provincial Park, meet the residents at Ecocentre Homarus Eco-Centre, then see the interesting displays at Albert County Museum, and finally admire the majestic nature at Hopewell Rocks. Get ready for a full day of sightseeing on the 30th (Sun): do a tasting at Magnetic Hill Winery, see the interesting displays at Resurgo Place, and then examine the collection at Steeves House Museum. To find more things to do, reviews, photos, and other tourist information, read Moncton online itinerary creator. Drive from Miramichi to Moncton in 2 hours. In July, daily temperatures in Moncton can reach 29°C, while at night they dip to 16°C. Wrap up your sightseeing on the 30th (Sun) early enough to travel back home.